Ezra was the surliest cat in the world who loved bananas, steamed green beans, and asparagus! He was protective of Sarah. 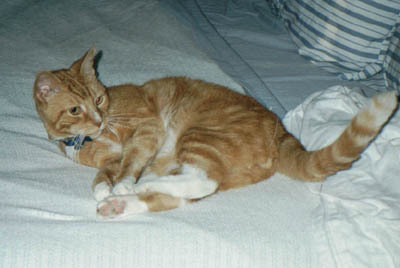 He died of lymphoma when he was 9 1/2 years old.